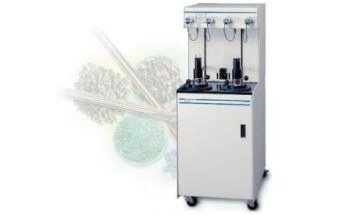 Pore size analyzers allow Scientists to establish the dimensions of surface micropores on materials like pharmaceuticals by determining their gas sorption abilities. Standard analyzers require placing a sample into a sealed chamber, where it is cleaned and exposed to gaseous adsorbate molecules. These devices then measure the degree to which the sample adsorbs the gas and determine pore size based on the sample' s surface area. Additionally, pore size can be determined by applying stress to a wet, porous sample. As the stress adds up, the pores are purged, from largest to smallest, and both capillary flow rate and amount of strain are determined to calculate maximum pore size. 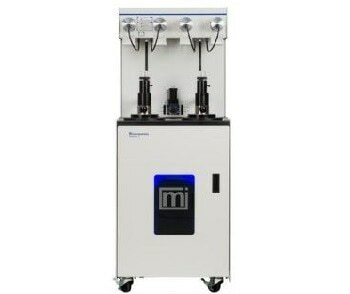 Pore size analyzers typically use such gases as argon, carbon dioxide, helium and nitrogen blends and krypton. Once submitted, we will try and place you in contact with a suitable Pore Size Analyzers supplier within 48 hours.